Our form will walk you through all of the info we need to get started. Take a look below at the scarf styles you can choose from. We will create multiple scarf designs for you to choose from. You will either select a design or tell us what you want changed. All at no cost. Once you confirm the design and price, production will begin. Turnaround time is about 3 weeks. You will receive a notification from FedEx once your order ships. 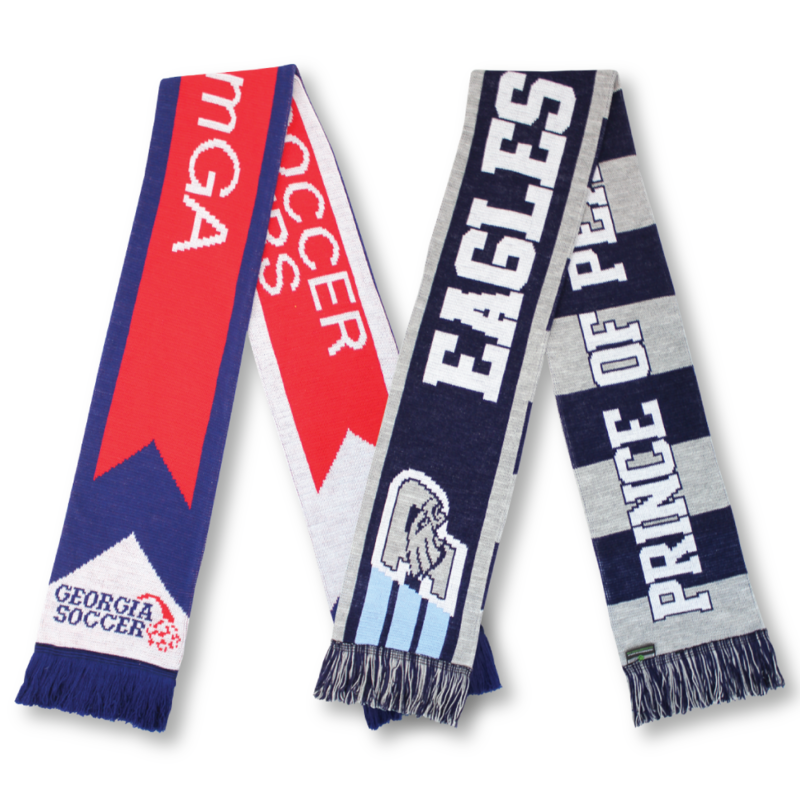 The classic soccer scarf, this style allows up to 6 colors and unique artwork on both sides. 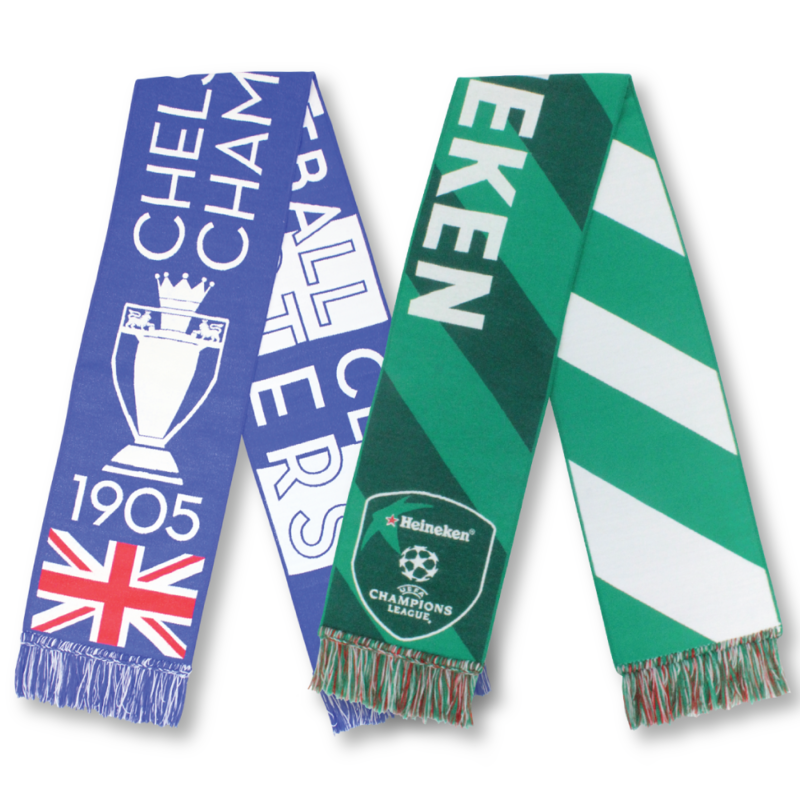 Our most popular style to date – if you are looking for a traditional knitted scarf at a competitive price, this is the one. 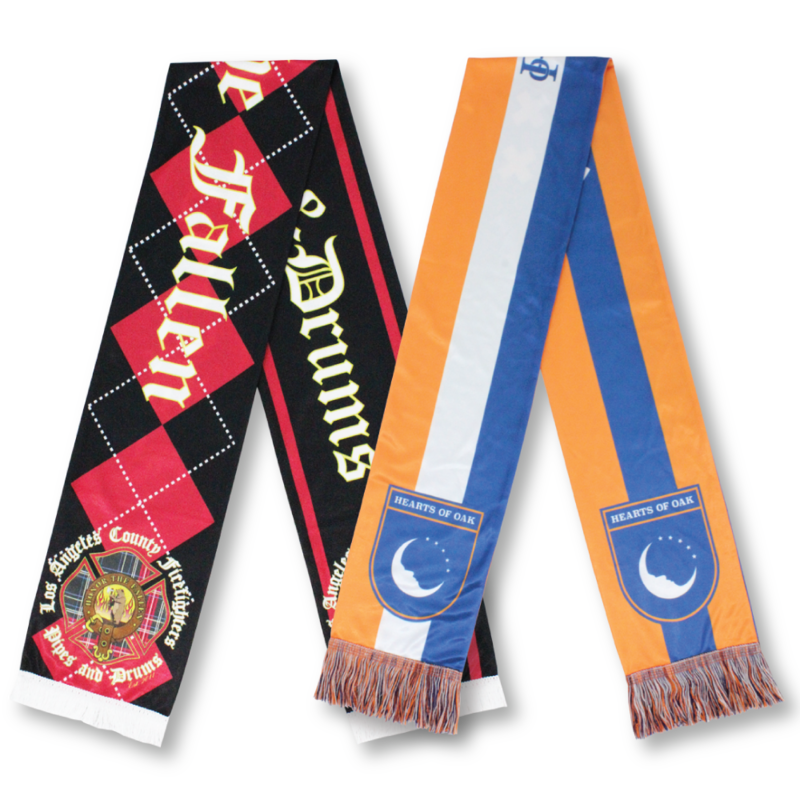 HD Woven scarves can be 1 sided or 2 sided, and are made with the highest quality of workmanship and allow for the most detailed logos possible while using thread-based production. Our most premium scarf option. 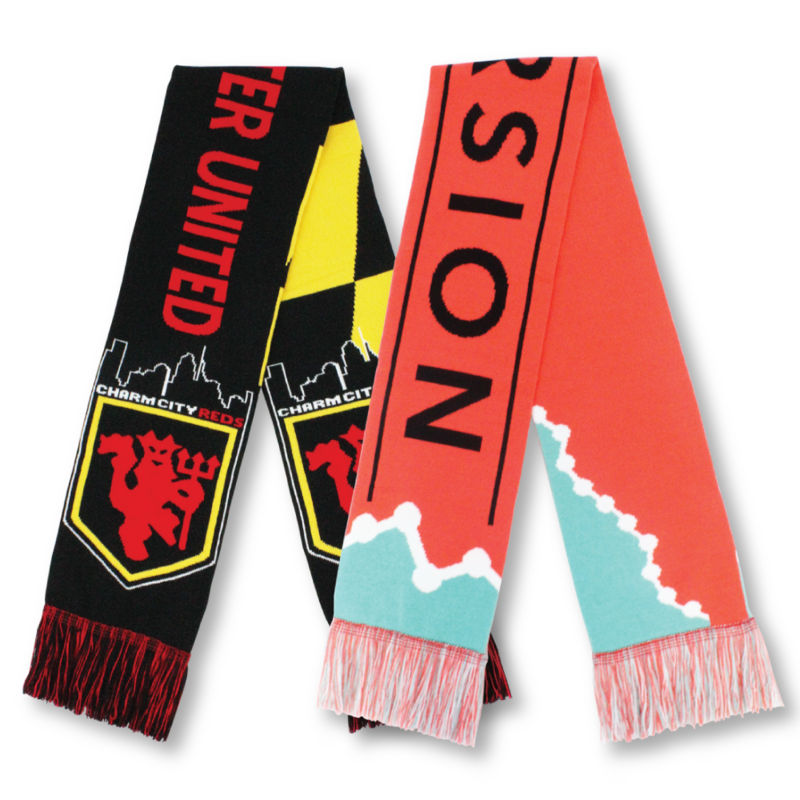 This is a lightweight, sublimated custom scarf made of high quality poly/spandex. This scarf has no limitations to the complexity of the artwork, and is great for warmer weather events. It’s basically a very high quality printed custom scarf.